Don't miss your last chance to see Nine Lives: Visionary Artists from L.A.
Concert by Nine Lives's artist Llyn Foulkes with his one-man band called the Machine. 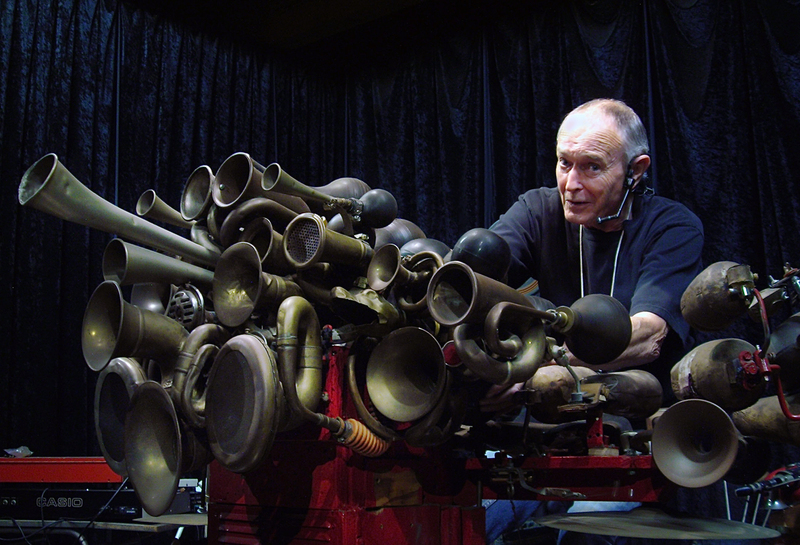 Created by Foulkes, the Machine is comprised of dozens of found and invented instruments such as car horns, organ pipes, drums, xylophone and bass. 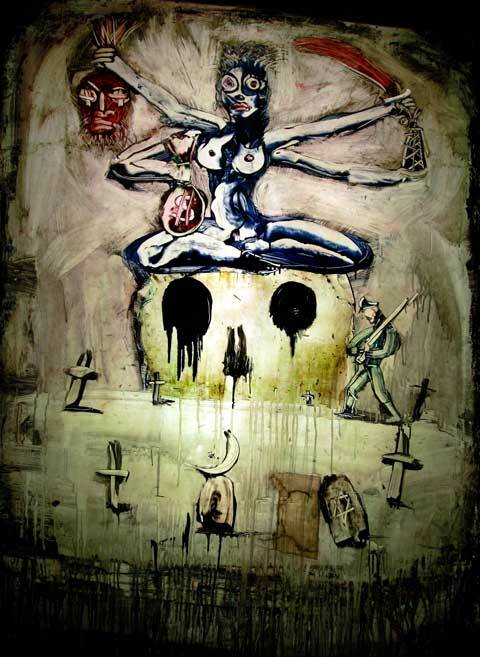 Foulkes will be accompanied by performance painter Norton Wisdom who creates magnificent visual interpretations of live music using brushes, sticks, his fingers and a squeegee upon translucent fiberglass. 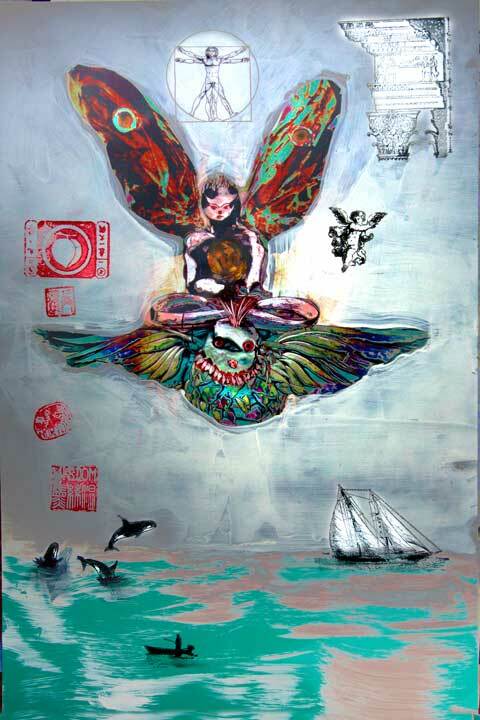 Wisdom has collaborated with Badal Roy, Angelique Kidjo, Daniel Lanois, and Dave Navarro, among many others.